As a congregation we believe that it is important to encourage and nurture children as they grow and are given the opportunity to know about God’s love revealed in Jesus. The church provides an area for children and parents to attend the service together. This area has quiet activities for children during the service – however, the service is aimed at engaging all ages. 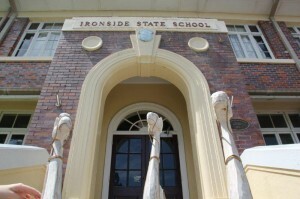 In addition, the congregation is involved with providing Religious Instruction at Ironside State School. We also pray for and support the School Chaplain.